You thought you knew kimchi. You were wrong. South Korea is a land known for many things: K-pop (Korean pop music), K-dramas/K-movies, technology that is practically from the future (you may have heard of a little company called Samsung). And most famously… Kimchi. Before delving into the deep and fermented world of kimchi, we should probably start with the basics. 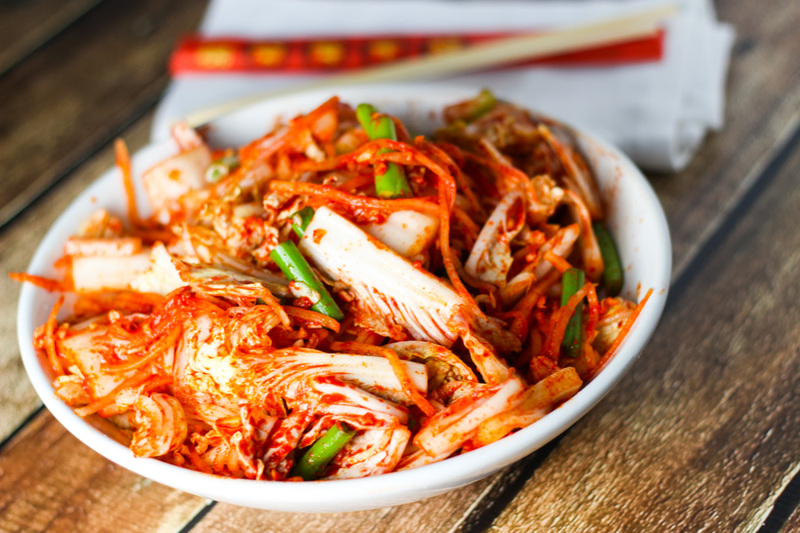 Kimchi (김치) is a Korean dish traditionally made of fermented vegetables. The most common variety is made with cabbage (pictured above), but today we’re going to talk about the rest of the kimchi family. I’m starting with this one because it’s my personal favorite. 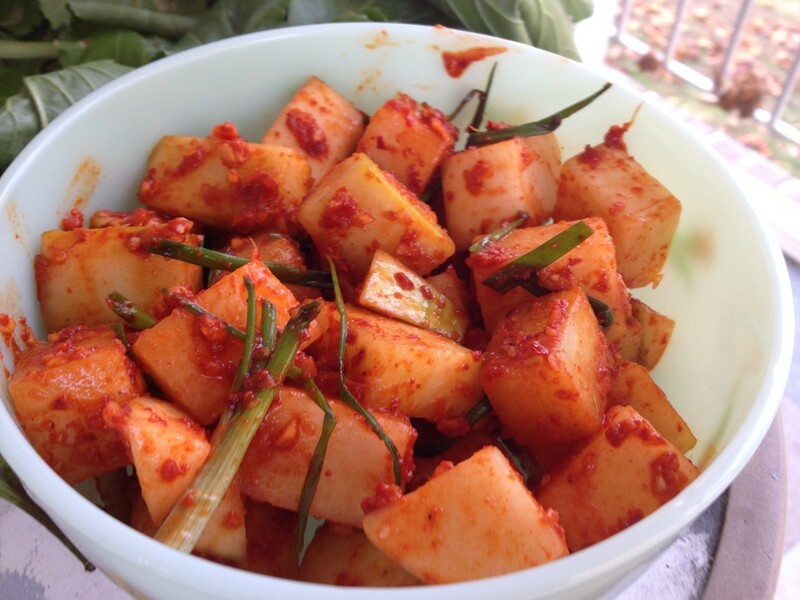 Oi Sobagi, or cucumber kimchi, is kimchi that’s well…made out of cucumbers. It has the crunchy, fresh, chill pizzazz of cucumbers, and the spice of kimchi. (This is also one of the few varieties of kimchi that is not fermented). This is, I’m pretty sure, the second most common variety of kimchi. The recipe is the same as napa cabbage kimchi, but diced radishes are used in place of the napa cabbage. This kimchi apparently goes by several different English names, but I’m trusting Wikipedia on this one (please don’t fail me Wikipedia). 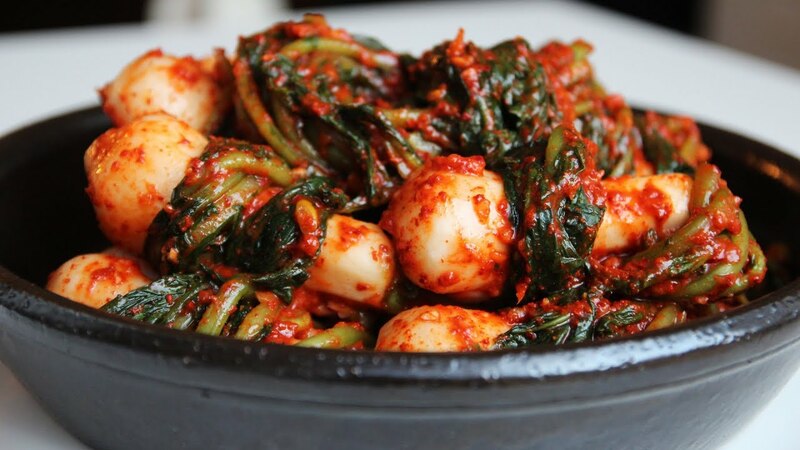 Yeolmu kimchi is also made with radishes, but unlike kkakdugi kimchi, much of yeolmu kimchi is composed of the leafy parts of the radish. 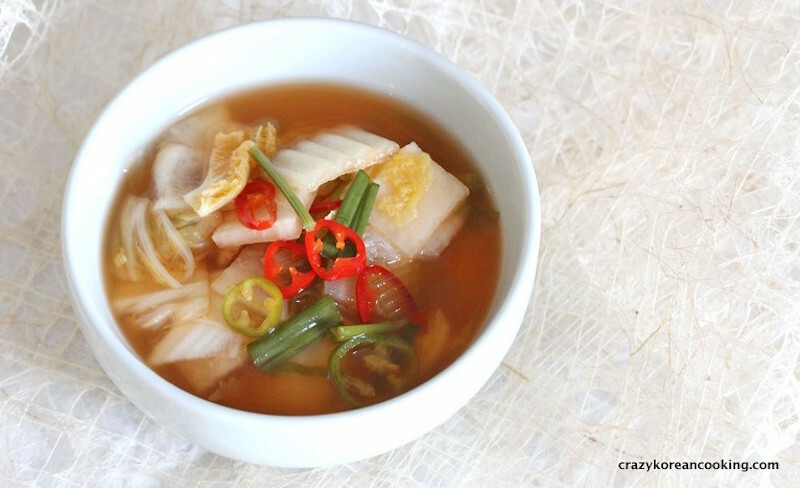 This is an especially popular dish during the summer, as the chilled yeolmu kimchi helps to beat the hot, humid Korean summers. Nabak Kimchi looks watery because, wait for it, it is watery, but don’t let its diluted appearance fool you. While its flavors are more subtle, Nabak kimchi has earned its place on this list as a flavor contender. 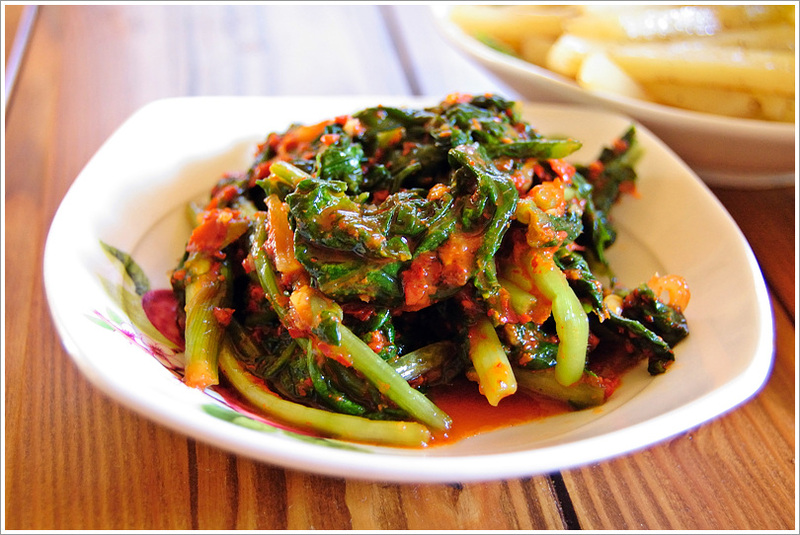 Nabak kimchi is made with Korean daikon and Napa cabbage, both of which are cut into small, flat squares. Other ingredients (peppers, spices, you know the deal) are also added, but all you really need to know is that it’s wet and delicious. Congrats, you’re a kimchi expert now. You are ready to take on the world of Korean fermented vegetables. Go out there and eat some kimchi.